Have you ever had plenty of time to complete a task, yet somehow end up rushing through it at the last minute? This is a habit that plagues quite a large portion of people, but how do you break the habit? Like most habits, you can learn to change your behavior, but if this is how you have been used to doing things for a while, it might take some extra effort. 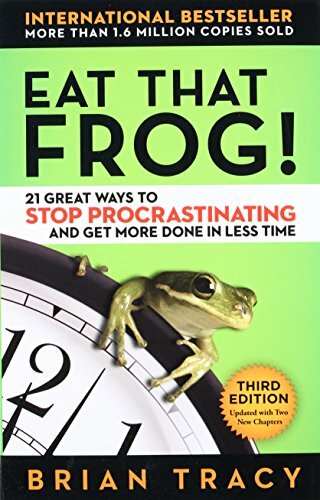 This article is intended to help you learn how to finally stop procrastinating. If you’re prone to getting overwhelmed, then it can be really easy to get flustered when you’re looking at a large job that needs to get done. When you’re looking at a mountain of things that need to be taken care of, it always looks like a mountain, but one way to deal with it is to break the job into a list of smaller jobs. That way you can create a visually recognizable record of what you have accomplished so far. Seeing the list and being able to take things off of it will give you more confidence and help you to reduce your stress. The first super important baby step would be to pick one thing and just be sure to get it done as soon as you possibly can. If you’ve made a list, it would be good to make sure that task is number one on the list. This does two things. For one, you will be able to cross something off of your list, and for second, you will have already completed for first task. Take a moment to reflect that you’ve finished something quickly because the next step you take can be extremely important as well. One of the hardest things for people can be asking for help. Asking for help means that you have to put your trust in someone to help you reach a desired outcome, so it takes a lot. Sometimes the person to help can come from the least expected source, but if you have the option, try to find a trusted friend to get you through the task. Sometimes just having someone with you can make all of the difference. Once it’s coming down to the wire and you’ve already completed many of your tasks, and asked for a friend to help you, there are probably only a few things left on your list. This is a really crucial time for you development, and sometimes life has a way of throwing obstacles into your way, but the best way to avoid these types of things is to simply lock yourself away from anything or anyone who would be able to keep you from finishing. When you are so close to the end, be sure that you have time to focus and mull things over. This way you don’t blow through the final steps of your work, and you can be confident that you are delivering quality work that showcases your strengths and skills.